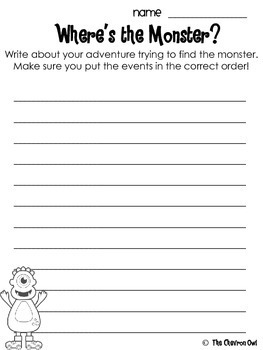 Send your students on a scavenger hunt around the school to find the monster! 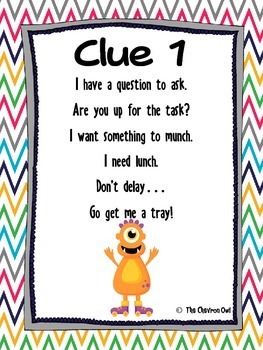 This activity includes 6 clue cards that have students read the card, decipher the clues and decide where to go next. 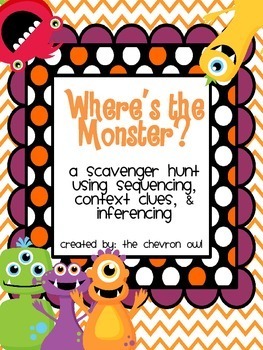 Once students return to their room, they will complete a sequencing activity. There are three different recording sheets for students to complete.